Annual membership of Yes Group Belgium is €97. Entry to the monthly workshop for only €10 anytime (non-member tickets €15/€20). You can bring a guest (one-time) for free. Access to all the special speaker links, articles, audio, video and offers available in the Member Only part of this website. 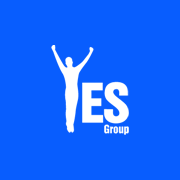 Access to exclusive content and webinars for Yes Groups worldwide (under development). Access to special offers from our personal development network. Discounted rate when you participate in one of our masterminds. If you’re committed to the future of the Yes Group, and squeezing every last benefit out of attending our events, it also makes financial sense. Achiever (Bank Transfer) €97.00 now. Achiever (PayPal / Credit Card) €97.00 now.